Military is an association that protects the security of a country. It is an organization which is allowed to use deadly weapons against its enemies in order to protect the border of its country. The establishment of a military service in every country is absolutely indispensable towards securing defense and economic stability of the country as a whole. The profession of military service is indeed a moment of pride for the near and dear of those associated with it. Thus military has a very crucial role to play in many aspects of the country such as military intelligence, military science, military economics etc. 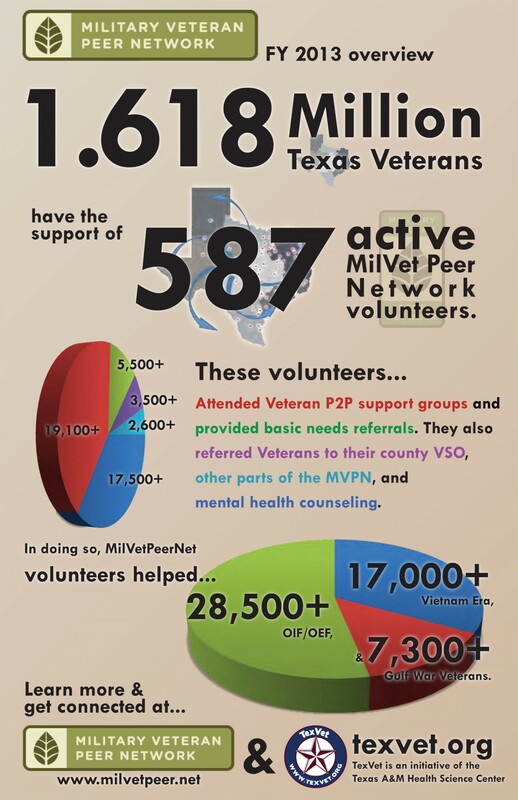 There are 1.618 million Texas veterans who have the support of 587 active Milvet Peer network volunteers. In doing so about 28,500 volunteers helped OIF and OEF, 17,000 volunteers helped Vietnam era and 7,300 volunteers helped Gulf war veterans. The war on terror is different from the traditional warfare and demands technology that can be quickly deployed and adapted to a new kind of battle field. When higher technology is used it will require lesser troops to be deployed. These advanced military technologies improve the safety and fighting capabilities of ground troops. Some of the innovations of this military technology are Chenowth Light Strike Vehicle, Oshkosh M-ATV etc. During permanent change of station (PCS) which is between May and August most military members receive relocation orders and are forced to pack up and ship out. Nearly the entire population of Nevada and Utah consist of military and military family members. Some of the top five states with highest active military duty military population are California, Texas, Virginia, North Carolina and Georgia. The rates of military suicide have been found to be the highest with statistics pointing at military veterans at about 8000 suicides every year. While a service member commits suicide every day a veteran commits suicide every hour. There are many veterans who have proudly served the country which has been the top benefit of U.S military service. Some statistics point at 7.8 million veterans of Vietnam War, 5.2 million of gulf war, 2.8 million of Korean War and 2.6 million of WWII war. The United States Service Academies also known as United States Military Academies is a federal academies that provides undergraduate education and training to commissioned officers of the United States Armed forces. In this academy there is 73% acceptance rate when there is 5 years active duty or 3 years inactive duty. The married men and women in the US military service belong to many branches and ranks and make up for the strongest support for the U.S military system. There are a total of 726, 900 military spouses. There are also dual military couples who account for about 2.8% of the total military couples working together. It is estimated that over $1trillion is spent on military expenditure worldwide every year which account for 2% of the world’s GDP. Part of this goes for the procurement of hardware and services from the military industry. United States had a budget of $607 billion towards United States Army in the year 2008. There are average 612, 709 military spouses with an average age of 32 years out of which 95% are female. The best way to appreciate military spouses is to record a thank you video, hire a military spouse or give charity to the military spouses support organizations. For nearly half of its relative brief existence the United States has been actively involved in armed conflict whether at home or abroad. The Iraq and Afghanistan wars have been biggest losses for the U.S with highest expense to the tune of $810 billion and $600 billion respectively. While there has been rapid growth of the Chinese economy its military power has lagged behind. But now china has taken a stance to devote more spending of its national wealth for military which is doubled in less than a decade. The military spending was $18.9 billion in 1991 and in 2011 it is at about $129.3 billion. Some of the costs of military spending include $17,500 for equipping one U.S soldier, $830,000 for a cruise missile and $6,210,000 for an Abrams Tank. While the real median household income is estimated at $49,445 and the average cost of college education is $20,986. These statistics point at the military spending and what it could have purchased alternatively with that spends. The stress of military life drives many soldiers to drink and do drugs. In any case many soldiers use alcohol or drugs to cope up adjustment with civilian life. The primary substance of abuse in admissions of veterans and non veterans in the age group of 21-39 is 51% in alcohol, 9% in heroin, 12.2% in Marijuana, 6.3% in cocaine and 12.2% in other opiates. The comparison of India and US military in terms of Air Force personnel is 110,000 which is at rank 2 and 370, 300 in US which is at rank 1. Similarly the growth of armed forces has increased by 3% in India and ranked at 67th place but declined by 37% in the US with a rank at 108th position. Ranking of the largest sea battles in military history in terms of number of soldiers involved are Battle of Jutland, Battle of the Philippine sea, Battle of Lepanto, Battle of Yemen, Battle of the Leyte Gulf, Battle of Salamis and Battle of the Red Cliffs just to name a few of them. Some of the top 10 military friendly cities are San Antonio, Oklahoma City, Houston, Omaha, Dallas, Phoenix, St. Louis, Tulsa, Birmingham and Rochester. The statistics of military relocation point at 2% move within the city, 5% move abroad, 5% to different state, 14% move within same country and 74% do not move at all. As on March 31st 2010 about 2,266, 883 troops serve the U.S military including the ones on active duty, National Guard, air National Guard and reserves. The total of military personnel makes up less than one percent of the total U.S population. The history of the military schools involvement in the NCAA tournament is divided between Navy Midshipmen, Air Force Falcons, Virginia Military Institute, Citadel Bulldogs and Army Black Knights. The ownership of homes in America by the military personnel is estimated at about 69% of civilians when compared to 27.3% of military families. The VA requires no bottom line score and FHFA standard conforming loan limit for 2012 is $417, 000. There are nine regional loan centers and efforts are being made to provide 100% financing on any VA loan product. This infographic provides information on military sales information. 65% of sales are commercial and editorial sales.